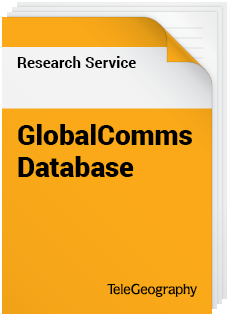 Our GlobalComms Database has a lot going on. Every day, our analysts scour press releases and company websites to stay on top of telecoms developments and data, allowing us to create this massive resource. 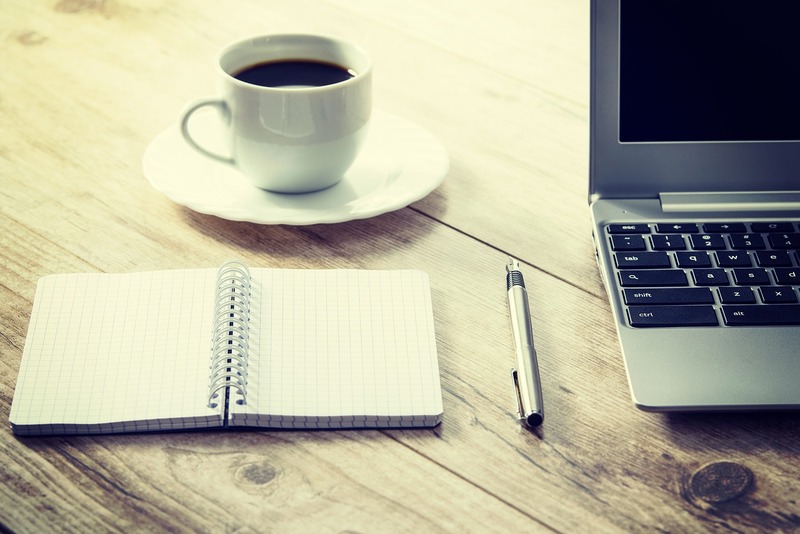 With a database so jammed-packed with stuff, we thought it was worth highlighting a few of the things you can do—and questions you can answer—as a GlobalComms subscriber. Which Latin American market lost 10 million wireless subscribers in 2016? Brazil is the largest wireless market in Latin America, but did you know that the country saw net mobile subscriber losses upward of 10 million in the 12 months ending December 31, 2016? This is on top of a 20 million net decrease in 2015. Brazil officially entered recession in mid-2015; domestic operators tightened their belts accordingly, disconnecting swathes of inactive SIM cards in order to avoid unnecessary government taxes. The GlobalComms Database covers more than 200 international telecoms markets from Afghanistan to Zimbabwe—and everywhere in between. Whether you're interested in Benin or Burkina Faso, Belize or Brazil, GlobalComms has data to help you develop an informed opinion of the market. 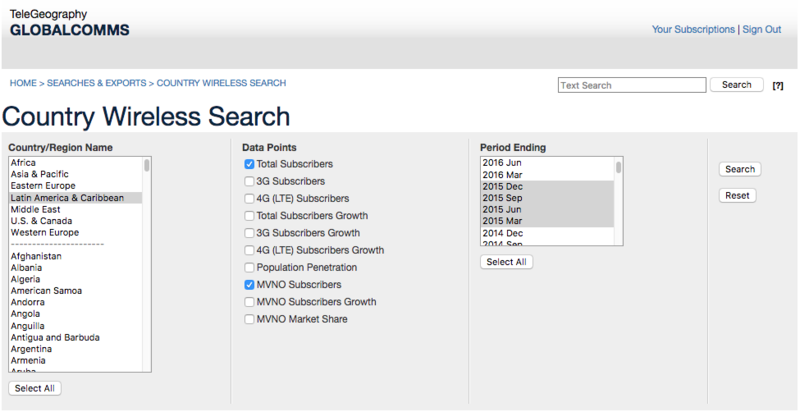 Search for wireless data points across more than 200 telecoms markets. Which major Asian market saw 4G subscribers overtake 3G subscribers in 2016? With more 4G subscribers than the United States, Japan, India, Brazil, Indonesia, and the UK combined, China has emerged as a genuine LTE powerhouse. But did you know that the Chinese take-up of 4G technology actually surpassed active 3G users in the first quarter of 2016? 4G users now account for more than half of all mobile subscribers in China. Driven by China Mobile’s explosive LTE growth, the country total has surged upwards, and 4G users now account for more than half of all mobile subscribers in China. 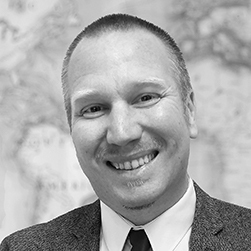 The worldwide rise of 4G LTE technology continues at pace, and TeleGeography’s GlobalComms Database offers an exhaustive list of commercial and planned networks spanning the four corners of the globe. In which European mobile market are 50 percent of all subscribers attributed to MVNOs and MNO sub-brands? TeleGeography’s GlobalComms Database is now home to the telecoms industry’s fastest-growing collection of MVNO data, covering more than 90 countries and 850 virtual operators. That's why our users know that Western Europe is a hot-bed of MVNO activity, and the region is home to a number of the world’s largest virtual operator markets. This includes the likes of France, Denmark, Austria, and the Netherlands. A snapshot of the Germany profile, which includes data on their MVNO activity. Over 100 MVNOs and resellers are now active in the German market, targeting their services at a wide variety of customer segments. Roughly 50 percent of all German wireless subscribers are customers of either a discount sub-brand belonging to one of the three mobile network operators (MNOs), a network operator-owned MVNO, or an independent MVNO/service provider/reseller. Indeed, over 100 MVNOs and resellers are now active in the German market, targeting their services at a wide variety of customer segments, not least the enduringly popular budget and no-frills sector. What nation was first to reach 100 percent fibre-to-the-home broadband coverage? Size doesn’t matter in the GlobalComms Database. Alongside our comprehensive coverage of the world’s major telecoms markets, we also profile some of the smallest principalities, republics, and territories. The landlocked micro-state of Andorra has one of the most advanced broadband markets in the world, becoming the first nation to reach 100 percent coverage with fibre-to-the-home technology. Did you know that the landlocked micro-state of Andorra has one of the most advanced broadband markets in the world, becoming the first nation to reach 100 percent coverage with fibre-to-the-home (FTTH) technology back in May 2010 Andorra offers all of its citizens and businesses symmetrical download/upload speeds of up to 100Mbps, plus IPTV and voice telephony access. Further, in early November 2014, incumbent monopoly operator Andorra Telecom reported that it had deactivated its DSL network, making it the country the first in the world to claim an all-fibre broadband sector. How many markets around the world have yet to launch 3G wireless technology? While tracking network evolutions is undeniably a key component of the GlobalComms Database, we also make it our business to monitor the markets that are out-of-sync with wider global trends. A lack of investment in new network technology can be prompted by a number of factors, ranging from political instability, to awkward geographic terrain, to limited return-on-investment potential. Of the countries currently profiled in GlobalComms, just five are currently lacking commercial 3G (or 4G) networks, namely: Cocos Islands, Cuba, Eritrea, Saint-Pierre & Miquelon, and Tuvalu. Of these markets, Cuba offers 3G access to international roaming visitors, but not to Cubans, while Tuvalu is expected to make the jump to 4G mobile broadband technology in 2017, having signed a vendor contract in January 2017. Our country profiles are among the most sought-after features of a GlobalComms subscription. 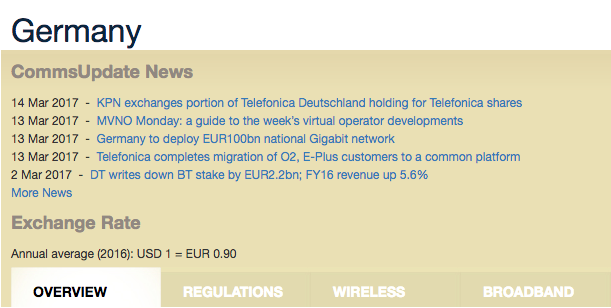 Our subscribers have access to profiles detailing telecom markets in over 215 countries. Our subscribers have access to profiles detailing telecom markets in over 215 countries. Bottom line: users who need to understand telecoms markets in any number of countries—and who might want details on the latest fixed and mobile network developments, spectrum auctions and related regulations—have a place to do their research. Economic and political overviews? Check. Market commentaries and comprehensive market share data? Check. Regulatory timelines? Check. More than a decade’s worth of country-specific news headlines? Check. The biggest question of all is: can you afford to miss out? If you're not a subscriber of the GlobalComms Database, you might appreciate learning more about the features, pricing, and licensing of this tool. We've got a free brochure with all the details.